"Gérard Boudot calls 2007 a vintage that produced wines that are “very pure and crystalline in their transparency. It’s also yet one more vintage where September saved the harvest. April really jump started the growing season but after the middle of May, we really didn’t see good weather again until the second half of August. The flowering was perfect and resulted in a huge fruit set and we dropped a lot of it because I knew that unless there was perfect weather, which we now know there wasn’t, there wouldn’t have been any way to get all of that fruit ripe. It’s easy to say now but the green harvest was definitely a good decision. We began picking on the 2nd of September under perfect harvest conditions. Sugars were pretty consistent from one terroir to another as they ranged from 12.2 to 12.8%. Moreover, the crop was extremely clean and there was essentially almost no triage necessary. The alcoholic fermentation was normal as were most of the malos though a few wines dallied considerably. I did limited lees stirring, which is to say once every 15 days until the end of December. I have reported on the various changes for premature oxidation that Boudot has instigated and for 2007, he has left things basically as they have been. He noted that he was “aiming for between 38 and 40 ppm and for 2007 I reduced that just a hair to between 37 and 38 ppm because I thought 40 was noticeable.” See Issues 27 or 31 for a description of other changes." 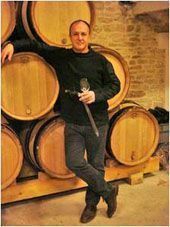 The Domaine Etienne Sauzet Produces exceptionals Bourgognes Blancs like : Montrachet , The Bâtard Montrachet , The Bienvenues Bâtard Montrachet and 6 Premiers Crus which are all prestigious. "Pale bright yellow. Musky, minerally, rocky nose displays lovely citrus lift. Suave and smooth on the palate, with lemon and crushed rock flavors framed by harmonious acidity. Boasts very good tension in the mouth: this tightly wound wine will need time in bottle. The Garenne is usually a degree lower in potential alcohol than Sauzet’s other premier crus but not in 2014."